UHF RFID MODULE-USB，this RFID tag reader is a remote read-write module of IC card using non-contact UHF technology . 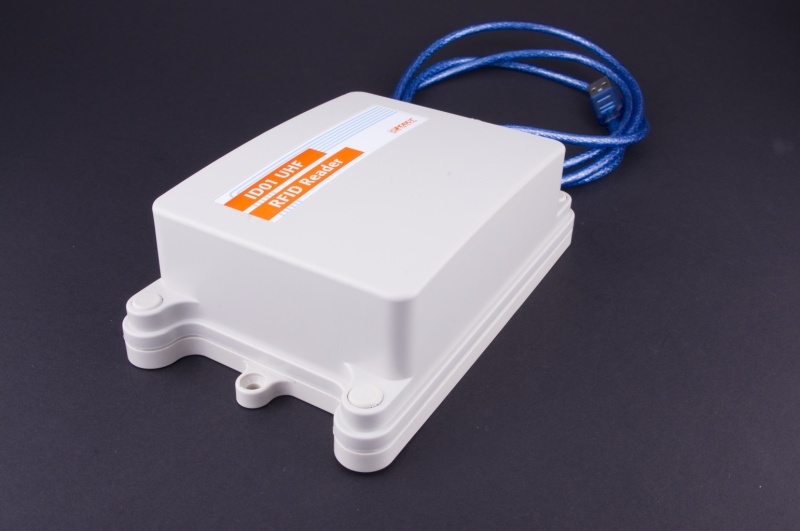 It can widely use in the field of vehicle monitoring, remote control, home alarm system, wireless meter reading, access control system, industrial data acquisition system, the wireless tag, identification, non-contact RF card, small wireless data terminals, fire-proof systems, wireless remote control system, biological signal acquisition, hydrological and meteorological monitoring, robot control, etc. . The UHF RFID MODULE-USB, a remote RFID tag reader module which DFRobot launched，can easily communicate through UART interface to other module , at the same time the module has another version with RS485 that makers can easily be integrated into the present wireless network. NOTE: Module has destroyed, lock and other special functions.If once the tag be destroyed, the tag will can never use again.So,please use these function cautiously! This sample shows that use PC to setting the module. In this application, we use serial monitor to help us more convenient to send and receive commands .By reading the tag command ,we can find out that RFID module do the response and return the tag name .Then we continue to try using other commands .